Over the past 15 years WDMP has worked with a number of new online businesses including Amazon, eBay, Betfair and more recently Wonga. 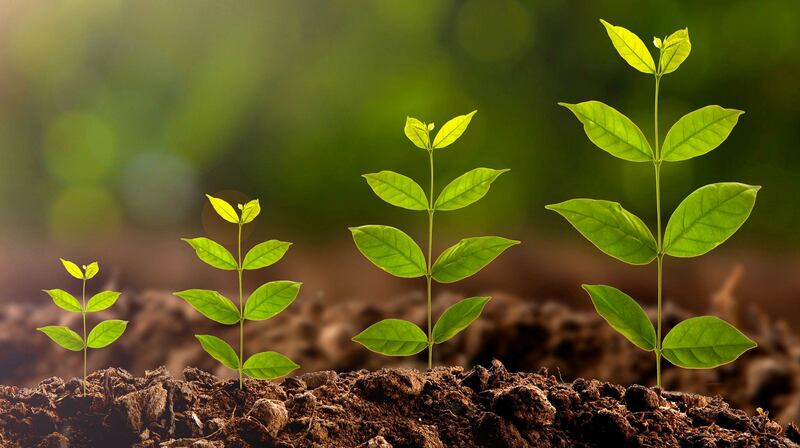 During this time we have observed 4 distinct phases of business growth, each with different specific objectives and each requiring different levels and indeed types of marketing support to achieve these objectives. We have noticed that these 4 phases also tie in with the distinct investment phases of the business, from seed & angel funding to IPO, and are largely dictated by the aspirations, demands and requirements of their investors. With this experience, across some of the most successful dot coms, WDMP has the tools and the products to deliver the required business growth at each stage. Clearly at this stage the business needs a sound online platform with a good user experience which is well optimised for search. But, as important, is a targeted PR and content strategy linked to good search. It is imperative that a cost effective PPC strategy is employed, this should include targeting less obvious and tangential search terms. As new customers join it is imperative that consideration is given to future database marketing requirements i.e. must be opted in, stored appropriately and have the ability to integrate into Communications (often over looked, leading to major problems in later stages). At this stage businesses seemed to be judged on the number of customers that have been attracted and served. As the business starts to build momentum and the natural growth rate is rising, social media should be considered as not only a customer management tool but to encourage customer advocacy, driving additional customer growth. This can be assisted by over servicing of customers, driving greater sharing of good experiences. As brand salience starts to build the most effective tool for scaling growth quickly is broadcast media, TV followed by outdoor and press. In our experience a solid brand response TV commercial (as opposed to a pure brand commercial) that clearly explains the proposition and benefits, whilst being memorable will deliver this growth. There are now opportunities to target key audiences by channel, day part and indeed by demographic via services such as Sky Adsmart. This should be backed by online display utilising re-targeting to drive higher site conversion. The key metric here is the customer growth rate, i.e. is the proposition scalable to a wider consumer group and therefore viable. As customer growth builds and revenues increase, the burn rate on expensive broadcast media becomes unsustainable and the business should be looking for more cost effective channels and acquisition routes. Scaling back the broadcast costs will free up budgets to utilise more targeted cost effective routes to market, thereby saving overall cost. WDMP have a great deal of experience in delivering in these direct response channels, typically small space press, vertical press and direct marketing (be it mail, email and door drop). We have built two tools to ensure effective communications. The first is the “seducibles model” this identifies which segment of the market you should be targeting and importantly which ones you should be ignoring. The second tool is a DR targeting model that firstly utilises existing best customer profiles and applies these to cold data, door to door targeting and secondly applies these to a benchmark CPA (cost per acquisition) to build a business case for acquisition. We have been successfully undertaking this for Wonga, whereby direct has now become the second most cost effective sales channel. However, to undertake this, the business needs sound customer data. WDMP have developed a Data Audit process that identifies risks, opportunities and a development path for data driven automated communications. Worryingly at this stage of a business’s growth we have encountered a lack of ownership and accountability for customer data. 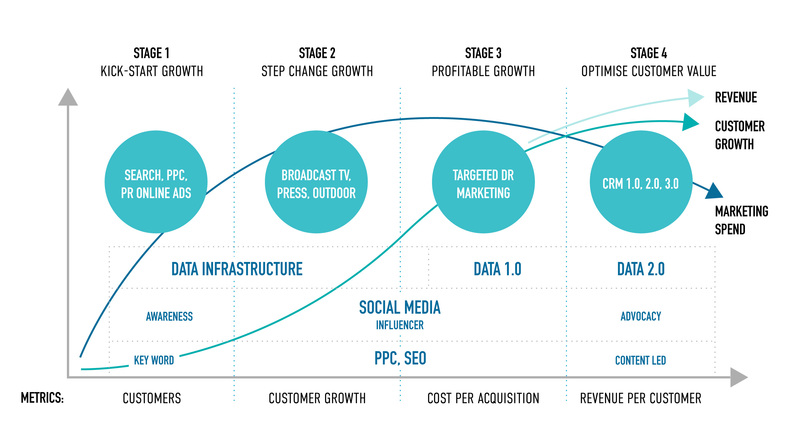 With a critical mass of customers, revenue and profitability should become a key focus. It is more effective and cost efficient to re-market to existing customers. Key focus should be on average revenue rates per customer, renewal rates, retention rates and customer advocacy. The key challenge is therefore to keep customers buying, get them to buy more, more often and buy additional products and services. This is quite simply, effective CRM. WDMP work with clients on a developmental path to class leading CRM based on the capabilities of existing infrastructures and operational staff. We ensure that we prove the business case for CRM at every stage, increasing sophistication once proof points achieved. We have developed 3 key stages, which we have simply termed CRM 1.0, 2.0 and 3.0. Moving the client from segmented batch based communications based on past behaviours, through behavioural targeted communications utilising observed behaviour and triggered comms, through to predictive communications utilising intention data from social media feeds and preference data collected.